Is gold money? Some Republicans think it should be. The Republican Party is considering setting up a commission to examine the pros and cons of going back to the gold standard, according to draft documents of the party platform. The official party platform won't be decided until Monday, but a Republican National Committee spokeswoman confirmed the draft language to CNNMoney. The commission harkens back to the early 1980s, when President Ronald Reagan set up a Gold Commission with the same intention. Only two members of the 17-member commission endorsed a return to the gold standard. One of them was Rep. Ron Paul, who remains an avid gold supporter. "Now, three decades later, as we face the task of cleaning up the wreckage of the current Administration's policies, we propose a similar commission to investigate possible ways to set a fixed value for the dollar," the new proposal says. It's highly unlikely the United States would actually return to the gold standard. The country first moved away from the gold standard in 1933, and dropped it altogether in 1971. Despite support for its return by some on the political right, few mainstream economists support its reinstatement. 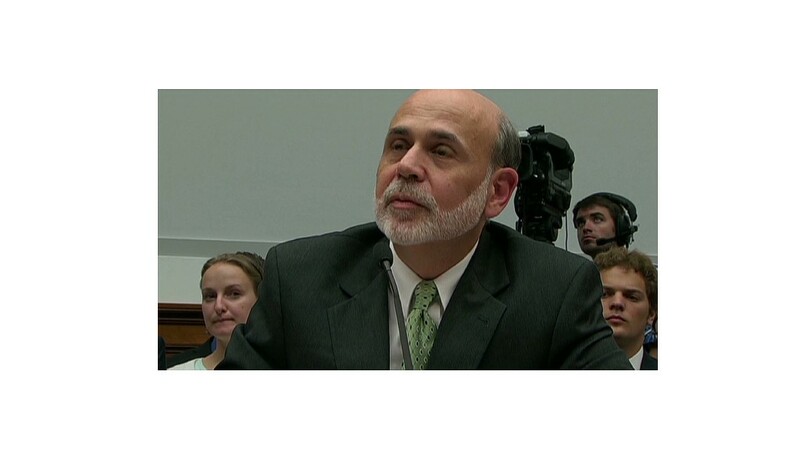 Federal Reserve Chairman Ben Bernanke has repeatedly expressed concerns about the idea, sometimes even sparring with Paul in Congressional hearings. Research has shown the rigid constraints of the gold standard worsened the Great Depression, he said. Gold prices can also be volatile. Plus, there's not enough gold in the world to support such a system, as Bernanke noted in a lecture earlier this year. "To have a gold standard, you have to go to South Africa or someplace and dig up tons of gold and move it to New York and put it in the basement of the Federal Reserve Bank of New York and that's a lot of effort and work," he said. It's an "awful big waste of resources," he added. But just in case the idea does gain more traction, here are some rough calculations of what would happen to gold prices, courtesy of Julian Jessop, chief global economist for Capital Economics. The U.S. monetary base, which includes paper bills, coins and some deposits at the Fed, is currently around $2.6 trillion. Meanwhile, the U.S. Treasury and Federal Reserve hold about 260 million ounces in gold. That means, if the government wanted every single dollar to be swapped with gold, the price of gold would have to be $10,000 per ounce. Of course, that's an "extreme assumption," Jessop notes. He points out that under another scenario, the government could simply opt to have just 15% of the money supply redeemable for gold at any given time. If that was the case, the price could be set at around $1,500 an ounce -- not far from its current market value of around $1,670. -- CNNMoney's Charles Riley contributed to this report.